I’m Lauren Egts, a member of The Fighting Unicorns, an all-girls robotics team from Cleveland, Ohio. We competed at the world championships this year and we use Slack to coordinate meetings, send announcements, and figure out where that missing rookie went! Overall, Slack has been incredibly useful for my team, I’m hoping to talk to someone about sponsoring my team so that we can continue to thrive. 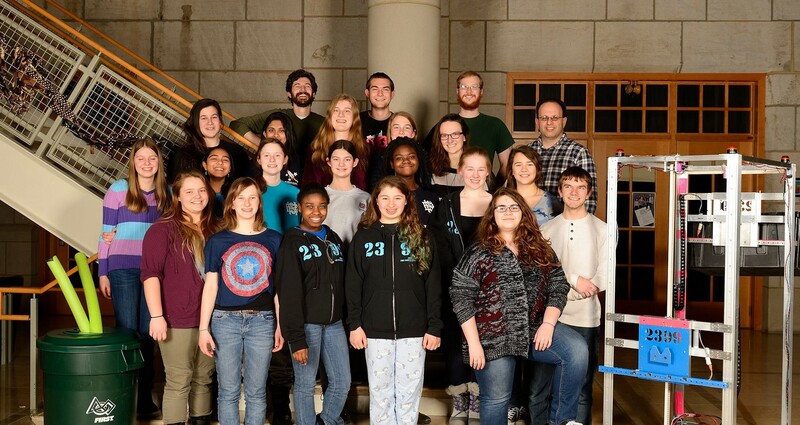 The Fighting Unicorns (otherwise known as Team 2399) is an all-girls FIRST Robotics Competition team from Hathaway Brown School in Shaker Heights, Ohio. FIRST robotics competition (FRC) is a yearly competition where high school students across the globe build robots with the help of engineering mentors, to compete in a unique and strategic game announced by FIRST. This year’s competition was based around the “Recycle Rush” challenge and the Fighting Unicorns built their bot especially for the challenge. We’re also happy to report that Slack is now helping sponsor the team. 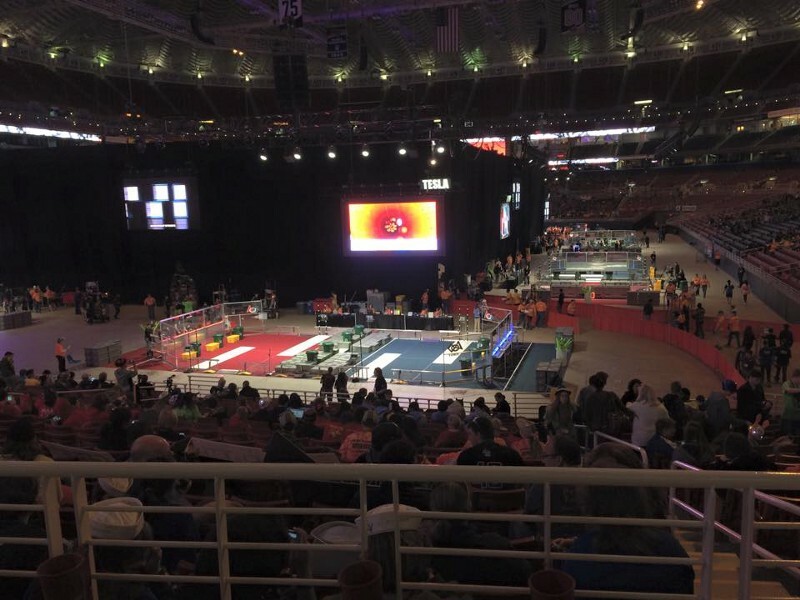 We caught up with high school sophomore and team member Lauren Egts and asked her a few questions about the competition, the team, and how Slack fits into all of it. Can you tell us what the Fighting Unicorns robot team is, how it came to be, who is on it, and what kinds of competitions you do? The Fighting Unicorns is a team of 20 girls and a few mentors who build robots, lead community outreach and also use Slack! The team was founded in 2008 and grew from a handful of girls to the team that it is today. This year, Team 2399 was captained by Jordan Harris and MacKenzie Hridel who lead the team to compete at the world championships. We compete in what is known as FRC, or FIRST Robotics Competition. FRC is run by FIRST, an organization that promotes science and technology throughout the world. 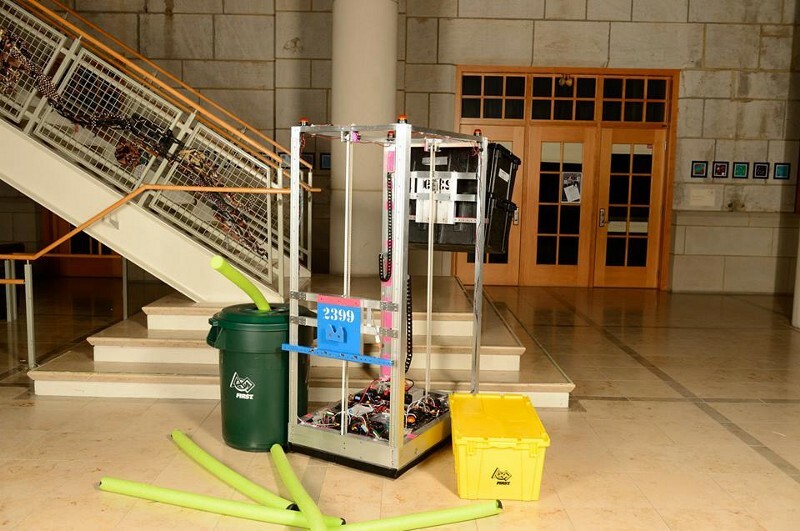 Each year FIRST creates a challenge for the FRC teams, who must build a robot to complete the challenge. After the challenge is given, teams have 6 weeks to build their robot! That’s great. Can you tell us how your team discovered Slack? Who found it, and how was it introduced? We found it through one of our mentors who introduced it to the head of scouting. Scouting is important to see which robots we will be competing against and who we will be competing with. All matches at a competition are scouted, and the scouting head has to coordinate that. This is where Slack came in. The lead scout needed a way to be able to communicate with all of her scouts. That’s how we started to use Slack. A secret backchannel! Interesting. How has the team used Slack? How do you end up organizing the team’s work through Slack? As I mentioned earlier, we started using Slack for scouting purposes. It turned into something much, much bigger. Slack’s importance only grew the more that we used it. In a single day, Slack went from being used by a few students to nearly the whole team. Now, we have channels for everything! We use Slack to communicate between the pits, where the robot is being repaired, to the stands, where matches are being scouted. We use Slack for everything from lunch instructions, to switching out pit crew, to finding where that rookie wandered off to. Slack has let us improve communications between team members exponentially. In fact, when at competition, everyone has to be with someone with Slack on their phone at all times! Always having Slack by your side, that’s great. What are some of the organization’s favorite features of Slack? Any features you wished Slack had? Personally, I love how Slack has channels. Channels let the team communicate in small groups without disturbing the rest of the team. I also love how Slack is cross-platform. With Slack, I don’t have to worry about missing important information because I wasn’t in a group chat. Slack is a huge asset to our team. If there was one thing about Slack I could add, I would add a status feature. I would love to be able to see what was going on with my teammates and where they were without having to message them and disturb them, especially at competitions. Any final thoughts on Slack? Slack has allowed Team 2399 to communicate with each other anywhere, anytime, and across any platform. There are a lot of tools that allow that, but Slack is by far the best because it has the versatility that allows it to be used however it is needed. In terms of stories, the time that I used Slack to tell my teammates that Slack was going to sponsor us always makes me smile! Thanks Lauren, and thanks to the entire Fighting Unicorns Team 2399. We’ll be cheering for your team at the next World Championships!